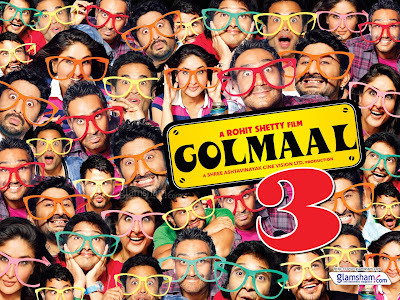 The Golmaal Series has always worked for its skit-like sequences, the storyline is a mere prop for the proceedings. 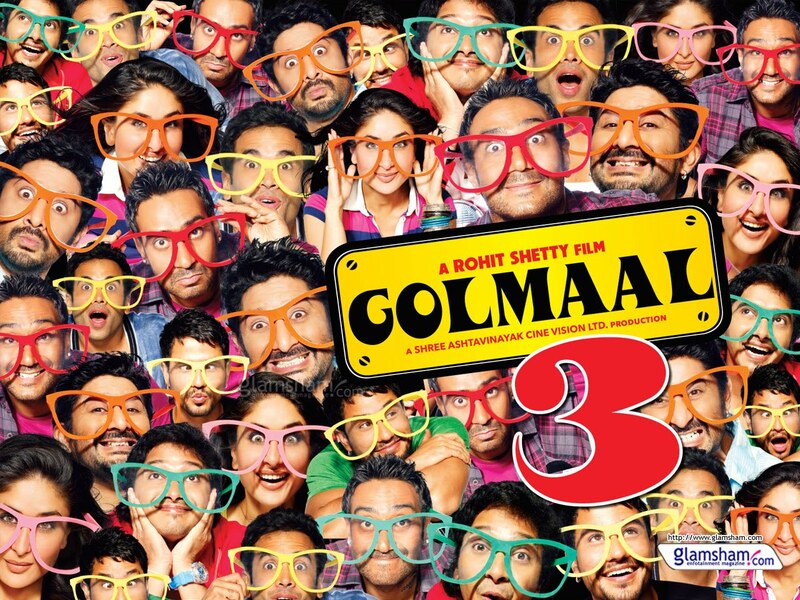 Director Rohit Shetty has the undeniable thing for pulling out genuine moments of laughter and Hindi film spoof pieces. The third film of the series doesn't disappoint. It starts with a bang with repartees and witticisms between the eight (more than ample) main characters, but paling in terms of coherent story-telling, needless plot threads, tepid, unconnected fight and action sequences (finger-bending crap), length, and the tired, repeated, mercilessly extended Johnny Lever act. Nonsensical, asinine, cluttered, bumpy are some of the words that describe the movie, would recommend it for the genuine moments of laughter it raises in the first half, and some in the second half. The cast and the dialogue delivery adds punch to the scenario. Arshad Warsi is a live cracker, he seems to have enjoyed this the most; Ajay Devgan is good - a gem of a actor wasted with limited scope; Tushar Kapoor dumb act is still endearing; Kunal Khemu makes for freshness, making most of the opportunity; Shreyas Talpade, the amazing talent that he is, is again not given his due. Mithun Chakraborty is the show-stealer, effortlessly gliding into his badly sketched role with charm and understated lines. Ratna Pathak Shah is wasted, while Kareena Kapoor's tomboy act is a gap-filler than a solid cameo it could have been. There, that is just the main cast. Considering the sheer talent and promise Rohit Shetty continues to display, and despite the original, not-so-run-of-the-mill stuff, the film is a disappointment for the classic movie experience it could have been. So good, yet so, so, so many 'bads'. Still, worth a watch, cut the stunt mania and add more flesh to story, we say. Mithunda reprising one of the over-the-top roles of his 80's potboilers and getting to deliver one the film's best spoof lines...translated - "Thee, whose houses are made of glass, change your clothes in the basement."